Andrew’s legal practice focuses on contracts, business organization, business litigation, civil litigation, estate planning, wills, trusts, probate, personal injury, divorce, family law, election law and appellate practice. Andrew was raised in Little Rock, Arkansas, where he graduated from Catholic High School (’83), received his B.A. from Hendrix College (’87), and his Juris Doctor from the University of Arkansas at Little Rock, William H. Bowen School of Law (’94). He had the honor of serving for two years as law clerk for Justice Tom Glaze at the Arkansas Supreme Court before entering private legal practice in 1996 at the Little Rock firm of James R. Wallace & Associates. In 2001, Andrew opened his solo practice in Little Rock with a satellite office in Heber Springs in 2006. He was privileged to return to the Wallace firm as Partner in 2011 when the firm name was changed to Wallace, Martin, Duke & Russell, PLLC. In addition to his local business and individual clients, Andrew serves as general counsel to Digital Capital, AG, a Swiss Corporation that provides partnership opportunities, management and advisory services within the digital entertainment industry. DC is a digital matchmaker, providing capital that allows developers to transform a simple idea into a project and eventually into a marketable property while also presenting their financial partners with exciting, digital investment opportunities. Andrew also provides legal counsel to several companies in the Republic of Ireland. 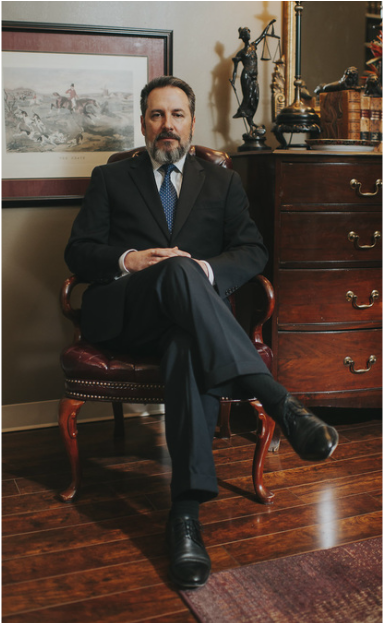 In addition to his legal practice, Andrew has formerly utilized his series 7 and series 66 licenses (inactive) as an Investment Advisor Representative and owner of a wealth management company affiliated with a Houston based broker, serving both a private client group as well as providing investment services to customers of two Arkansas state banks. Andrew is past General Counsel for the Republican Party of Arkansas, where he also served on the Executive Committee, Executive Steering Committee and Rules Committee from 1998-2004. He was Chief Legal Counsel for the Republican National Committee in Arkansas for the Bush/Cheney Victory Campaign. He is an active member of the Arkansas Bar Association and Master of the Bench of the Henry Woods American Inns of Court. Andrew and his wife, Melanie, live in Little Rock where they have two grown sons, one son at the University of Arkansas Fayetteville, and one son who is a senior at Catholic High School for Boys. He enjoys his time involved with their children’s lives having coached Upward Basketball, Junior Deputy Baseball and served on the Executive Committee of the PTA at Don Roberts Elementary School. The Russell Family actively supports Fellowship Bible Church of Little Rock, Catholic High School for Boys, the Susan G. Komen Breast Cancer Foundation and the Juvenile Diabetes Research Foundation (JDRF).